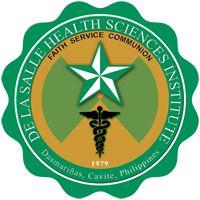 The De La Salle Medical and Health Sciences Institute traces its roots to a group of doctors from the College of Medicine of the University of the Philippines and the Philippine General Hospital who, in 1976, decided to establish a medical school to support the need for a well-trained staff for the newly inaugurated Medical Center Manila. Following the national government’s policy of dispersing educational facilities outside the capital city and encouraging the establishment of medical schools in various regions of the country, they decided to establish a medical school in Dasmariñas, Cavite. Originally named Emilio Aguinaldo College of Medicine, the school opened in 1979 under the management of the University Physician’s Foundation, Inc. with the Jose P. Rizal National Medical Research Center as its initial teaching hospital. In 1980, the foundation acquired 1.2 hectares of additional property and construction was started for a 180-bed teaching hospital. This 4-storey hospital, the University Medical Center, was inaugurated on July 31, 1982. In 1985, the construction of the second 4-storey Medical Research Building for the College of Medicine started.